Family-owned for the last 58 years, the four star Best Western Lee Wood Hotel in Buxton is situated in the heart of the Peak District. 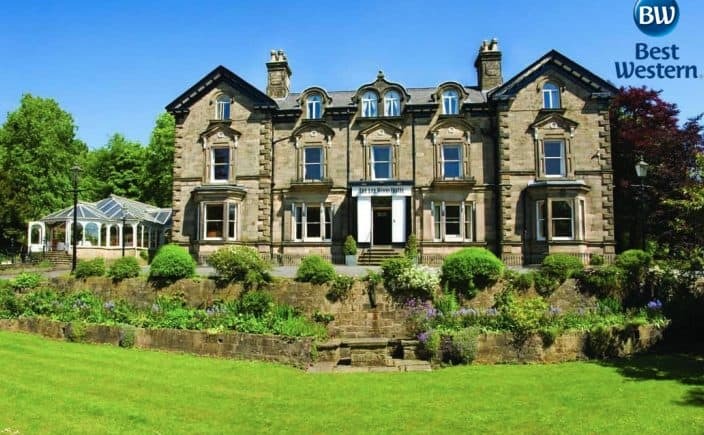 It has been voted number one in the area by guests for the last three years and is ideally located for exploring Buxton’s beautiful, historic centre. The hotel has 40 bedrooms and facilities include conference and function rooms, a fitness suite and beauty room. Orbiss has been working with the hotel team for the last decade. “We installed the Strata guest internet system at the beginning of 2016 and everyone is delighted with the easy access it provides throughout the hotel. These days most people have two or three devices when they come and stay and it’s important for them to be able to get a signal whatever they’re on and wherever they are. Best Western have quite rightly made it compulsory for all their hotels to ensure guests get comprehensive internet coverage and that’s why we agreed a combined package with Orbiss when they installed our new phone system in autumn last year.